Yep... that's us above, Matt and Wendy Wooley, of UnVeiled Studio, owners, partners, soul mates. We are practically Newlyweds ourselves! We feel your joy. 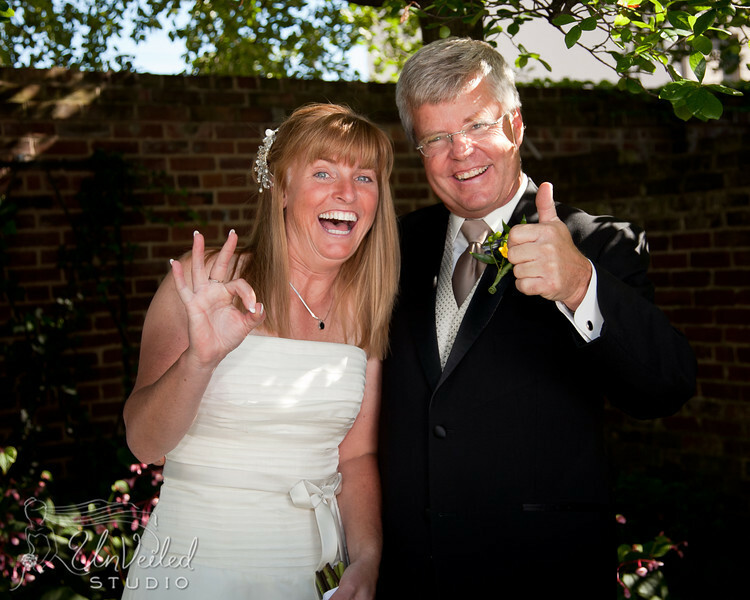 We bring our support, experience (and sense of humor) to every wedding we shoot together. A lot of people comment... "You guys are the cutest couple ever! You must love your job!" Of course, "We do!" What could be more fun than photographing beautiful people, on one of the happiest days of their lives? It's a thrill for us to capture the emotion of the day. Wendy is from Michigan and Matt is a Lexington native. University of Michigan football and UK basketball get equal time in our house. Both of us were already photographers when we met. Wendy came down to shoot the races at Keeneland. Something "clicked" and we both knew, that weekend, that we had found our perfect soul mate! UnVeiled Studio started when we got married a little bit later. We are both hopeless "foodies". We both like to cook, but we spend most of our allowance trying out nice restaurants. Our Black Lab thinks we're the best, he loves going wherever we go, he even has his own Facebook page. And we have two horses who think they own us. We love to laugh and have fun. We think life is a journey, more fun shared. UnVeiled Studio is all about your Wedding and Engagement photography... that's all we do! We would be thrilled to be a part of your biggest day. We love capturing the emotion and details of the day, from the hair and flowers to the first dance and sparkler send-off. 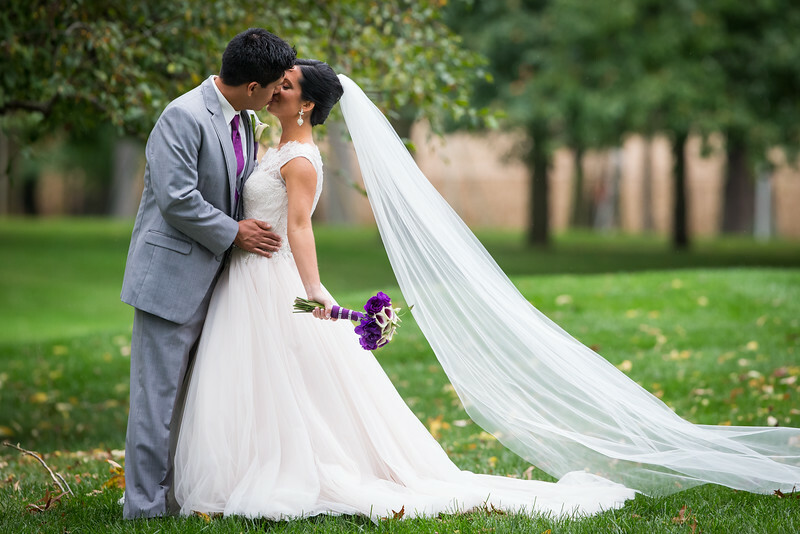 Your day is also about capturing the emotion; the vows to your beloved, the father daughter dance, and everything else. There will be laughter, and maybe a few tears, and that's okay. It's your day. We are both full time photographers, and passionate about our work. Our style blends today's photojournalistic lifestyle photography with classic elegance. We are known for our dramatic lighting, both natural light and off camera flash. We want to get to know you, so we can capture YOUR style. Dramatic, Classic, Fun, Fabulous! 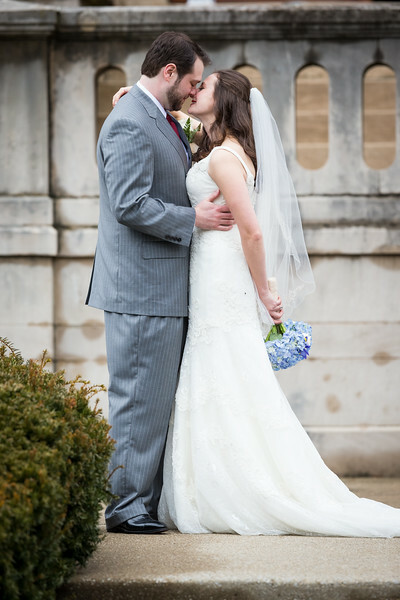 We will work very hard to make sure your day is documented the way YOU envision. You will always get both of us as your photographers. Did I mention that we love to laugh and have fun? 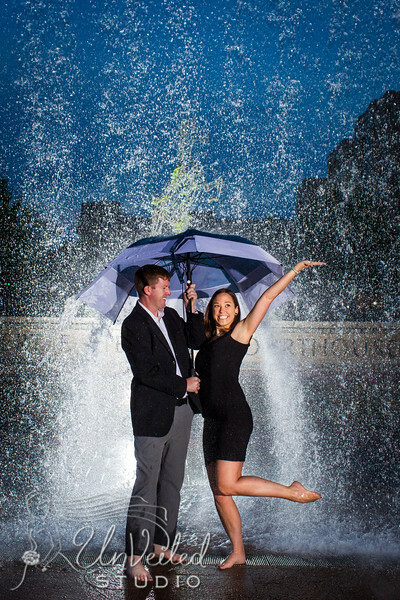 We love Engagements and Destination Weddings! Let us add a little flair to your Wedding & Engagement photos. We love shooting at Keeneland, Ashland (Henry Clay's Home), the Kentucky Horse Park, Talon Winery, Gratz Park and downtown Lexington. Our "Mobile Studio" goes anywhere. Your backdrop is anything you can imagine! I’m all about being an open book. I’ve had SO many conversations with folks about what we WISH we could tell clients but don’t….out of fear mostly. We want to give our clients the world, but at the same time I don’t know too many other people who attend as many weddings as we do….so we learn a few things. 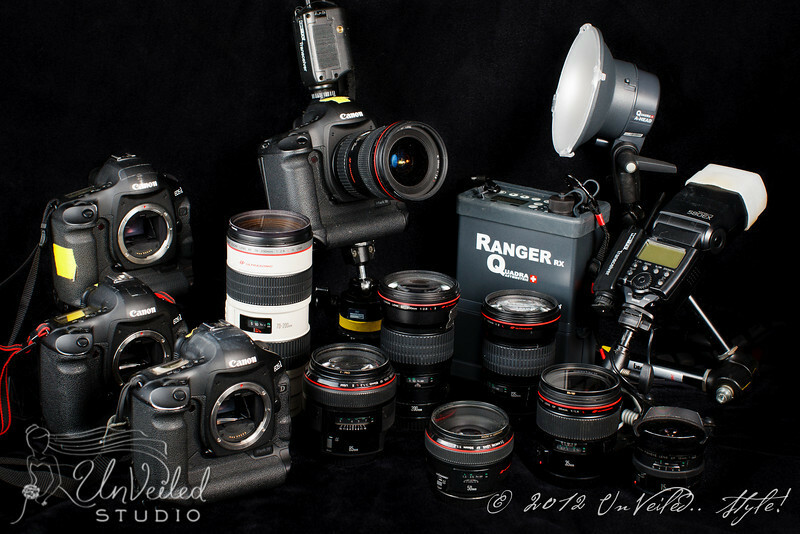 This is some of our gear. (We've added new goodies since the picture). We have back-ups for everything, including double cards in the cameras. And with 2 shooters, we are NOT going to miss an important moment.